Last Friday, all Pride events in Istanbul were banned by authorities for the second year in a row. Brave activists marched in Trans Pride anyways… and they were met with tear gas, rubber bullets, and water cannons, surrounded by police on one side and hate groups on the other. 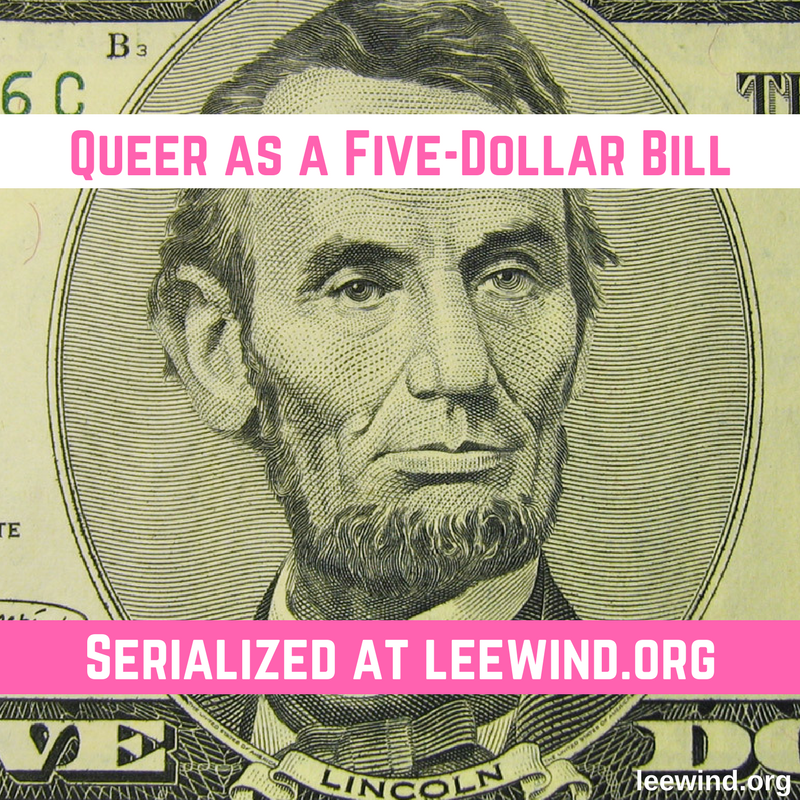 The biggest Pride March was scheduled for this Sunday. 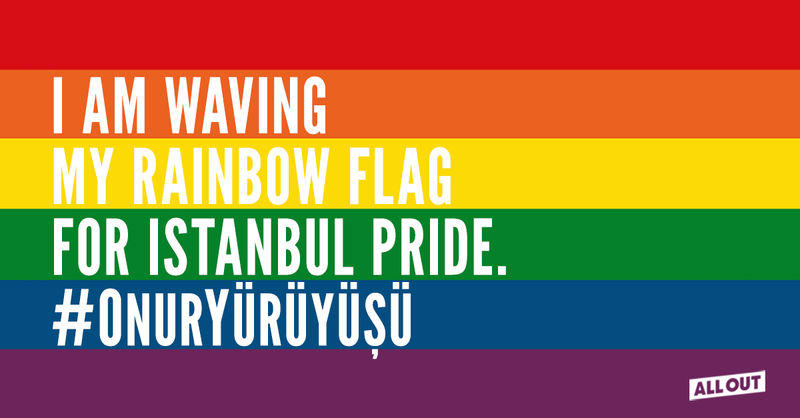 But sadly, people in Turkey are forced to choose between their safety – possibly their lives – and taking part in Pride. After increasingly violent threats from hate groups against our community, we’ve got to get creative. 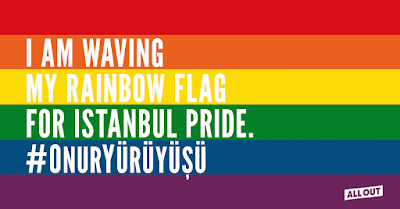 So All Out has scheduled a Virtual Rainbow Pride Flag wave to spread the word across the globe that we support the Turkish LGBTQ community. Join me and post directly, or use thunderclap, to stand tall with pride for those who don't have our freedom.